– Recommended to have your metal roof grounded by a lightning protection co.
To find out more about metal roofing and our roofing company in Webster NY call the certified roofing professionals today at Ron Ferris and Son and request your free roofing estimate at (585)-288-0895 or visit http://www.ronferrisandsonroofing.com for a complete list of our roofing services! There is no denying that metal roofing in Rochester NY has become a popular option for residential roofing and business owners alike. Increased durability, energy efficiency and fire resistance are just a few key advantages to choosing metal roofing . Although a properly installed metal roofing can outlast other residential roofing materials, the smallest error during installation can result in costly repairs. That is why it is crucial to hire a factory trained and certified contractor like RFS . Make sure your metal roofing contractor adheres to these fundamentals to ensure a smooth installation and trouble free ownership of your new roofing system. Proper Roof Flashing – flashing is a transitional materials used to connect the new metal roof to non metal surfaces such as skylights,chimneys and vents. Flashing should be sealed adequately to prevent water or moisture from creeping into crevices or under metal roof. Wrong Roofing Underlayment – underlayment is considered the second line of defense against leaking and water damage if roofing shingles or metal roofing are compromised. To protect the underside of metal roofing panels your installer should use a smooth, non granulated roofing underlayment. Acceptable Roof Decking – make sure your installer checks your roof decking for water damage, mold and mildew before the metal roof installation. Metal roofing will expand and contract as the weather changes. 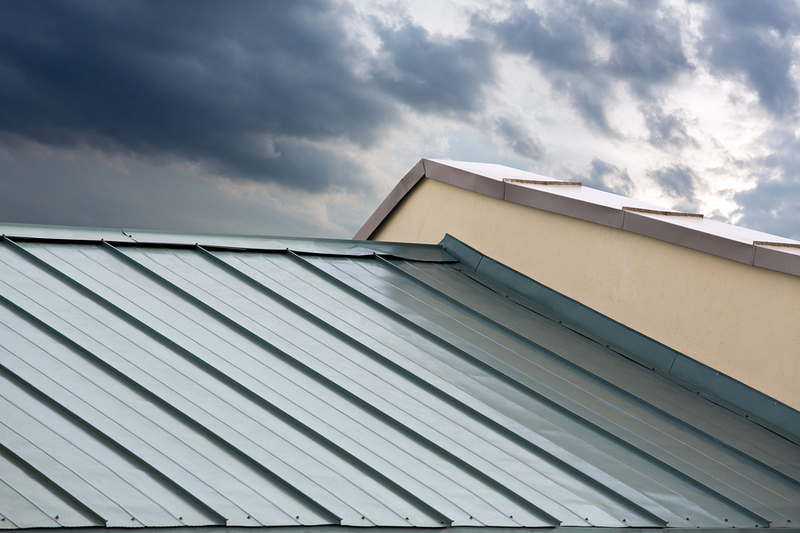 Without a solid base, metal roofing will eventually break loose or create gaps for water to leak in. Uninsurable roof – metal roof panels can easily be installed over your existing asphalt roofing shingles. However some homeowner insurance companies will not accept this form of installation, so check with yours before choosing a reroof. Don’t void the warranty – be sure your Rochester NY metal roofing contractor follows the manufacturer’s installation instructions accurately. Improper installation will void yor warranty and could cost you thousands in damage and repairs if anything goes wrong. Hire a professional roofing contractor like RFS. If you are considering a sustainable investment like roofing consider only the best and call today @ 585-288-0895 or request your free roofing estimate online @ ronferrisandsonroofing.com and put our family to work today protecting yours! Roofing in Wayne County seems to be the activity going on everywhere. Construction is growing at a tremendous rate and RFS, roofers in Walworth NY are taking long strides to keep up with demands. Our services have emerged as the premier roofing installations in Monroe and surrounding counties. Our clients understand a roof holds a strategic place in protecting any building and they want the best roofers to install theirs! Asphalt roofing shingles are perhaps the most used of all roofing materials by roofing contractors in Victor NY. In fact four out of five homes have asphalt roofing shingles. They provide an excellent protective covering for your home while increasing its curb appeal. Not only is there a structural need for a good roof but a properly installed roofing system with adequate roofing ventilation can help reduce temperatures and humidity levels. 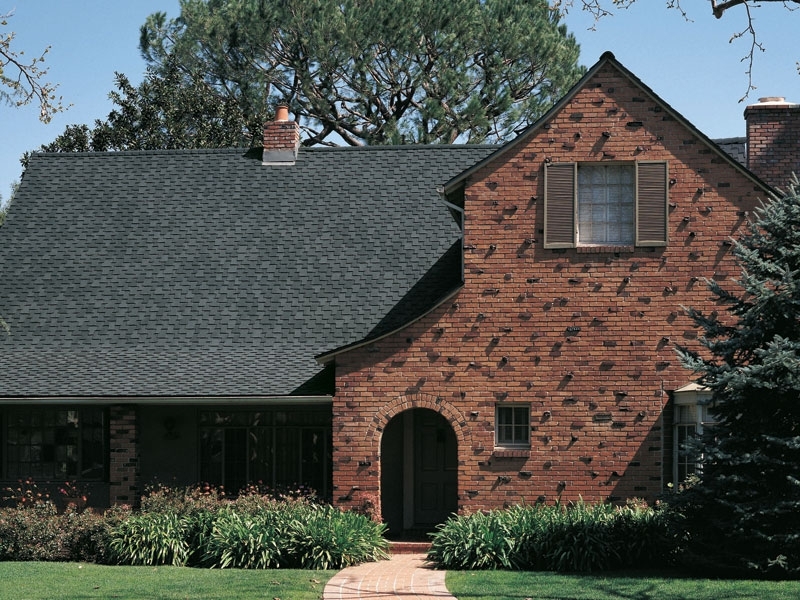 It’s the practicality of the lifetime roofing shingle that is hard to resist. No other roofing material is as affordable or easy to install. And you cannot beat the lifetime warranty when a credentialed Shingle Master company like RFS installs your new roof. Asphalt roofing shingles are an excellent choice for the brutal weather we experience. Whether its stunning colors and beautiful styles or unparalleled protection you are looking for you simply won’t find it in any other material like asphalt roofing shingles. When it comes to selecting a residential roofing system, homeowners have chosen asphalt roofing shingles for over 100 years. Over 12.5 billion square feet of asphalt roofing products are produced annually, enough to cover more than 5 million homes every year! With such a broad array of colors and styles shalt shingles can match any type of architectural design and do it affordably. Sooner or later every roof needs to be replaced, usually due to the long term effects of weathering. If you have a residential roof that is more than 20 years old it is a prime candidate for a roof replacement. To determine if you need a new roof perform a visual roof inspection from the ground. DO NOT CLIMB ON THE ROOF! Look for curled, buckled or missing shingles as well as excessive loss of roofing shingle granules. Then go in your attic and examine the roof decking and roofing rafters for wet spots or rot and mold, indicating a roof leak. Asphalt shingles can be applied as a reroof directly over your existing roof without tearing off the old roof. However a new lifetime roofing system cannot comply with warranty standards if it is applied over hard and brittle materials, has uneven surfaces for roofing nails or has rotted or unsound roof decking. It is also important to consider weather or not the roof decking can support another layer of roofing before undertaking a reroof in Wayne county. Ron Ferris and Son has been roofing Monroe County for over 35 years and we pride ourselves on providing quality roofing installations. When performing free roofing estimates we are often asked by homeowners, “which is better for a roof installation, roofing nail guns or hand nailing?” So we wrote this article to explore the pros and cons of each shingle installation method. Have you ever noticed when a roof has missing, loose or hanging shingles? The roof appears to be new but has obvious problems. 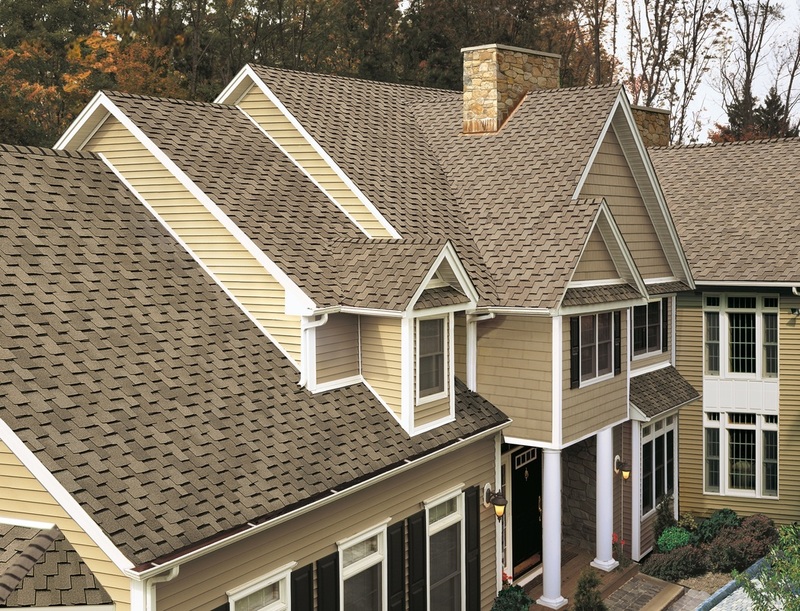 These problems could possibly be the result of wind damage or shingle manufacturer defect, but are more likely the result of improper shingle fastner installation. Most new roofs and replacement roof installation failures are the result of improper installation. There are two common ways to install an composition roofing, the first being hand nailing. This traditional method was used by our roofing company owners growing up. With this technique you manually hand nail each shingle individually. The second is a more production based method using a roofing nail gun. This method depends upon a gas or electric air compressor and air hoses to feed compressed air to a pneumatic roofing nail gun. You are probably wondering at this point which installation method is superior. First ask yourself these questions. – How long do I want my new roof to last? – Do I want the best roofing company in Rochester NY? – How much do I have to pay for a quality roofing installation? – Is quality or lowest price my main concern? – Can I really afford to replace my roof the WRONG way? – Will my certified roofer in Monroe County stand behind his installation? These are all important questions for homeowners replacing a roof or choosing a roofing contractor in Webster NY. Did you know a new roof installed incorrectly can void your shingle manufacturer’s warranty. That is why it is important to hire a roofing company who’s installers are factory trained and certified like the pros at RFS. We are a credentialed Shingle Master Company and can provide our clients with one of the roofing industry’s most iron clad Lifetime roofing warranty. Let’s get back to hand nailing roofing shingles. When a roofer hand nails each shingle you can be sure every shingle is installed correctly and will stay in place. Fasteners can be placed precisely where the installer desires and over driving a fastener is next to impossible. Over driven and under driven nails are the leading cause of shingle blow offs. Hand nailing a roofing shingle is slower but allows for a more precise installation. Roofing nail guns are similar to other power tools. Attention to safety and proper operation tolerances are important for an installation that complies with warranty standards. Special attention should be paid to the amount of pressure being supplied by air compressor. Too little and the roofing nails will be under driven and cause pre mature wear through the shingles above. Too much air and the roofing shingle fasteners will be over driven resulting in a new roof that has very little wind resistance. Either one will also void your shingle warranty. Roofing nail guns can significantly increase the speed of installation an still provide a new roof install that will last for decades. A quality installation does not depend upon what type of roofing fastener used. It goes deeper to the integrity of the workmanship being performed on your roofer’s job sites. If an installer has been trained properly, takes pride in his work and is evaluated by a stringent job site checklist then you are assure only the highest quality installations guaranteed to meet any warranty standards. Hire a roofing company with a long standing reputation for quality roofing installation like Ron Ferris an Son Roofing. There is a growing popularity in metal roofing installation in Rochester NY. Metal roofing is a versatile material that is durable, attractive and long lasting. Most metal roofs can last 50 years or more. Metal roofing styles and colors can vary widely. You can choose from the look of a classic cedar shake, architectural designer shingle or the modern look of standing seam roofing. Other benefits homeowners enjoy from metal roofing is a higher resistance to mildew and mold than asphalt roofing shingles. When installed properly, a new metal roof can help keep your house cool and comfortable in the summer and free of snow and ice dams in the winter. So how do you find a qualified metal roofing installer Rochester NY? Once you have decided to install a new metal roof, it is time to hire a metal roofing contractor. Find a local, qualified metal roofing company who knows the ins and outs of metal roofing installation. Just as with any other roofing services, not all roofing contractors are created equal. When you begin to shop around for the best roofing contractor in Rochester NY there are some helpful tips you should keep in mind to avoid common pitfalls. Installing a new metal roof is a huge investment, but improper installation will cost you more in the future, not to mention interior and structural water damage. Make sure you hire a roofer in Brighton NY with a track record of successful roofing installations in your community. Git it in writing – make sure your written estimate is fully itemized to explain the entire scope of your roof replacement project. Fully understand the terms of your contract before sealing the deal. Take your time – don’t let a salesman pressure you! You decide if and when to move forward, not your roofing contractor. Ask for references- speak to former customers or check independent testimonial sites to get a feel for your roofing service provider’s skills. Ask for insurance – make sure your roofer is properly insured with workman’ s comp and liabity to perform roof replacements. Are you considering installing a new roof in Rochester NY? If so the pros at RFS can help. Our family has over three decades of specific roofing experience installing and removing roofing in Monroe and Wayne counties. We can handle all your metal roofing needs with the highest levels of quality in materials, installations and warranties. All of our roofs come with written manufacturer and personal workmanship warranties and are designed to accent and protect your home for decades to come. Performing a reroof Webster NY or a complete roofing tear off in Penfield NY not only protects your home from significant structural and interior damage but adds significantly to your property value. However new roofing in Fairport NY is also an expensive proposition and can range in cost from five to upwards of twenty thousand dollars depending on roof design and roofing materials chosen. Roofing financing often becomes a sensible choice for many homeowners using the services of a roofer in Monroe County. We will discuss a few options for our clients. Roofing financing in Rochester NY is available both short and long term. When it comes to short term financing most of customers use these three forms most frequently! PERSONAL LOAN- this is a short term loan that is structured similar to a car loan. Depending on your credit score many local banks and credit unions will lend you the money for your new roof. CREDIT CARD TRANSFER CHECKS- often carry an introductory 0% interest rate for up to 18 months with no prepay penalties. These can often be rolled into new 0% transfer offers until the debtor your reroof in Victor NY is paid in full. HOME EQUITY LINE OF CREDIT- this is a line of credit used to replace your roof. Typically your lender will let you borrow a fixed percentage of the total market value of your home. Besides these you can also check for community based home improvement grants or local roof financing in Rochester NY. At Ron Ferris and Son our owners will work with you directly to help you obtain financing for your roof replacement. There are also more long term options available that can reduce the monthly cost impact a short term payment plan might have on your budget! REFINANCING AN EXISTING MORTGAGE- customers may opt to borrow against the built up equity they have in their home to have a new roof installed by a roofing company. SECOND MORTGAGE- in this case a second mortgage is taken out instead of refinancing the first mortgage. The funds then can be used to hire a roofing contractor in Monroe County. Even if you think you can’t afford a new roof, give us a call today! The pros at Ron Ferris and Son will structure a plan to replace your old roof with a new lifetime roof at a price that will fits your budget. Our family has been helping homeowners for over 35 years and we are the premier roofing contractor in Rochester NY. Call our owner direct at 585-288-0895 and experience the complete customer satisfaction that has made us one of the top service providers in the area. Or visit us at ronferrisandsonroofing.com and request your free roofing estimate in Wayne County.